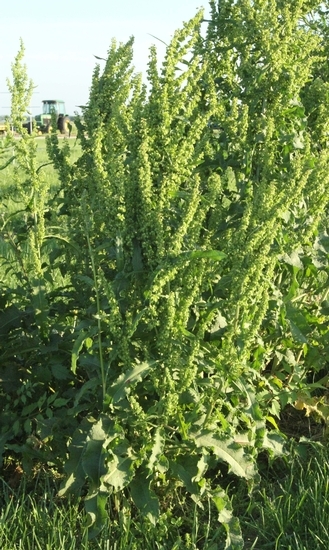 Taprooted perennial, developing a basal rosette of wavy-margined leaves and an unbranched stem that may reach 5 feet in height. 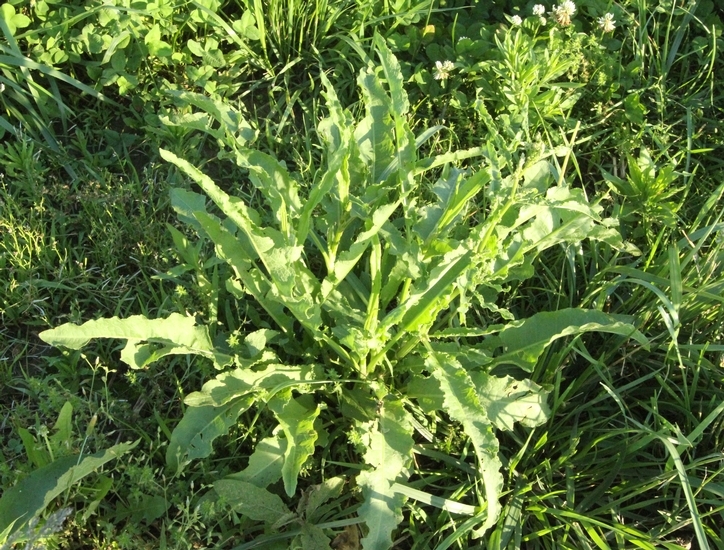 Found throughout the United States primarily as a weed of pastures, hay fields, forages, landscapes, and some agronomic crops. Stems below the cotyledons may be tinted maroon at the base. Cotyledons are rounded at the apex and narrowed to the base (spatulate-shaped). 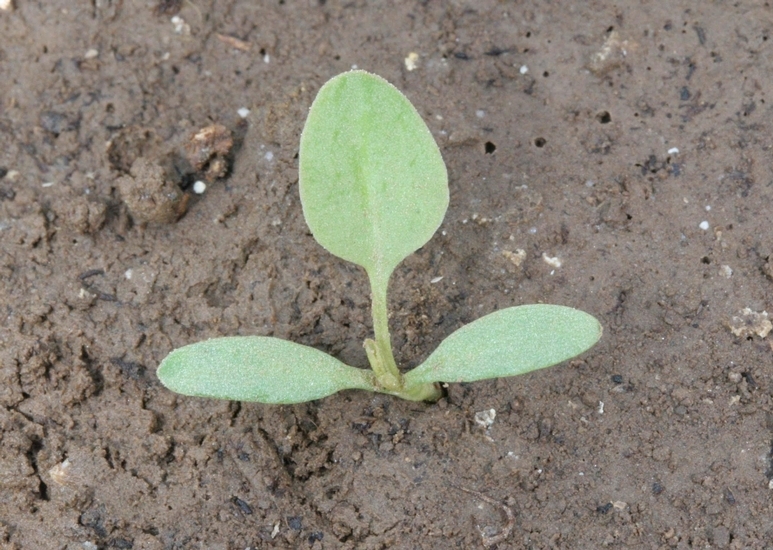 Cotyledons are without hairs and occur on petioles. 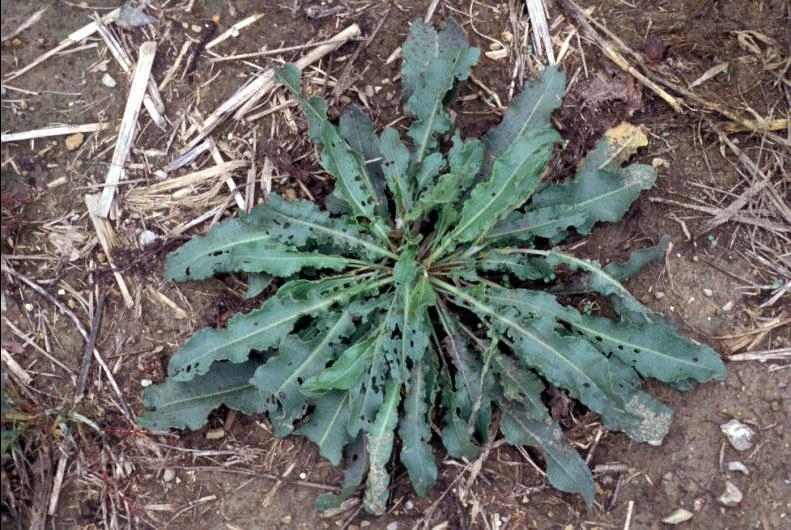 Young leaves may have reddish patches on them and form a basal rosette. 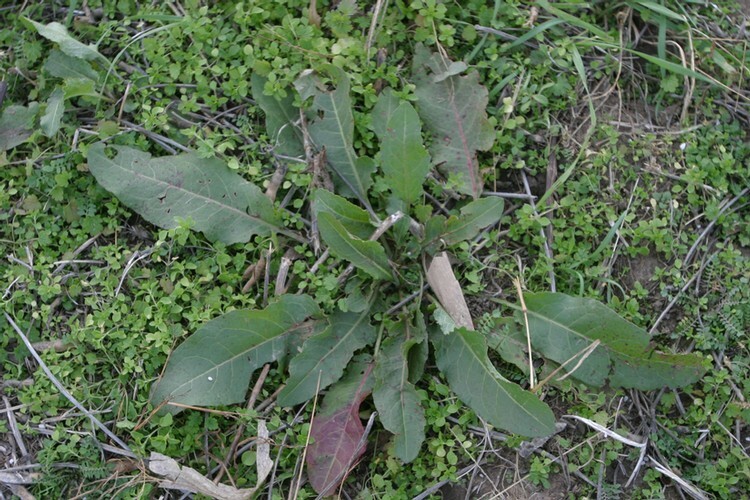 Lower rosette leaves are petioled, without hairs, alternately arranged on the stem, dark green with wavy margins. Stem leaves are arranged alternately along the stem, have a membranous sheath that encircles the stem (ocrea), and become progressively smaller up the flowering stalk. Leaves become more reddish-purple with age. 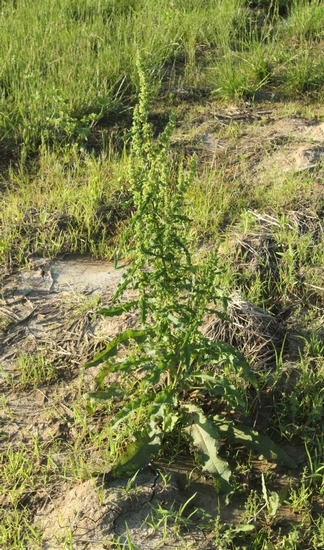 Unbranched, thick, without hairs, ridged, often reddish in color. Occur in clusters on the upper portion of the elongating stem, consisting of greenish sepals that become reddish-brown with age. 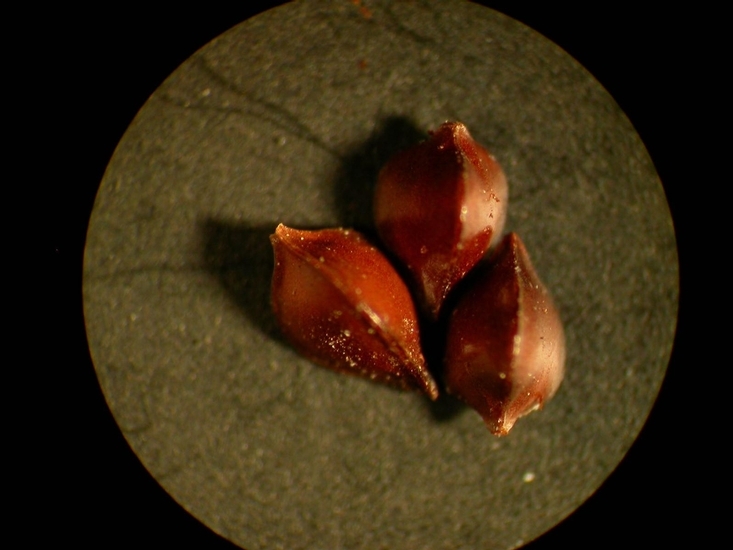 An achene (2 mm long) that is triangular, glossy, and brown to reddish-brown. A papery 3-valved or 3-winged structure surrounds the achene. Large, fleshy tap-root, yellowish orange in color. Leaves with markedly wavy-margins. 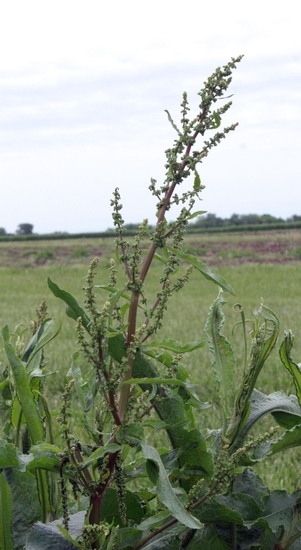 This weed may be confused with Broadleaf Dock (Rumex obtusifolius). 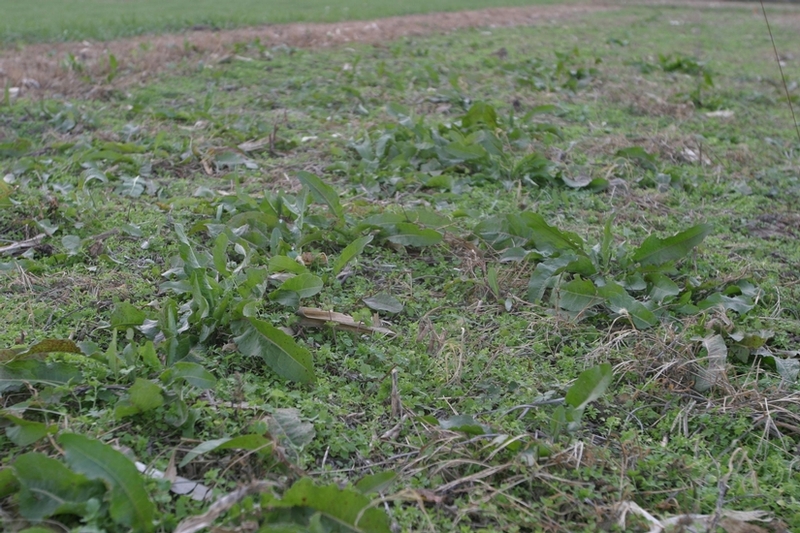 However, the much wider and less wavy leaves of broadleaf dock help to distinguish the two species.